Fairness products are always attracting girls and I am not exceptional though my completion is quite fair. Actually I don’t like any dark patches on my face. So this type of products works well on dark spots and makes skin fresh. From last week I had taken a 7 day challenge (#7DayGarnierChallenge) by Garnier. 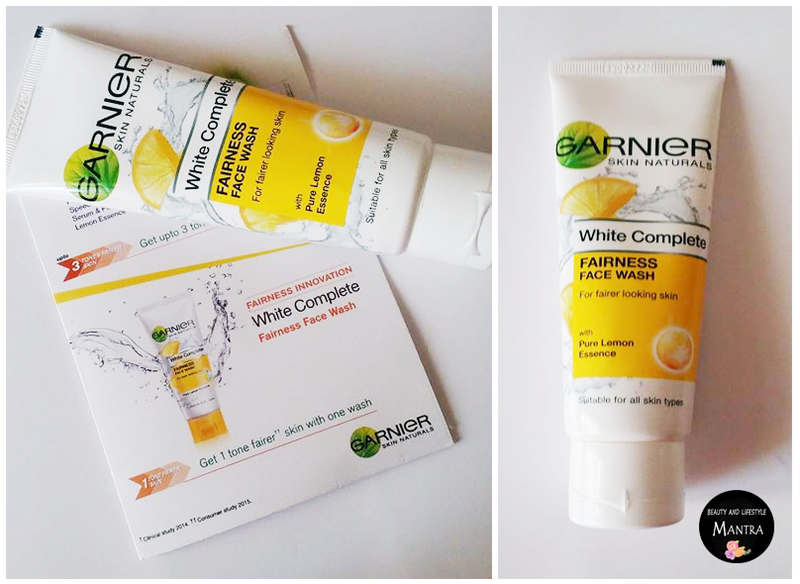 Garnier White Complete Fairness Face Wash and White Complete Multi Action Fairness Cream can change your skin tone up to 3 in just 7 days. 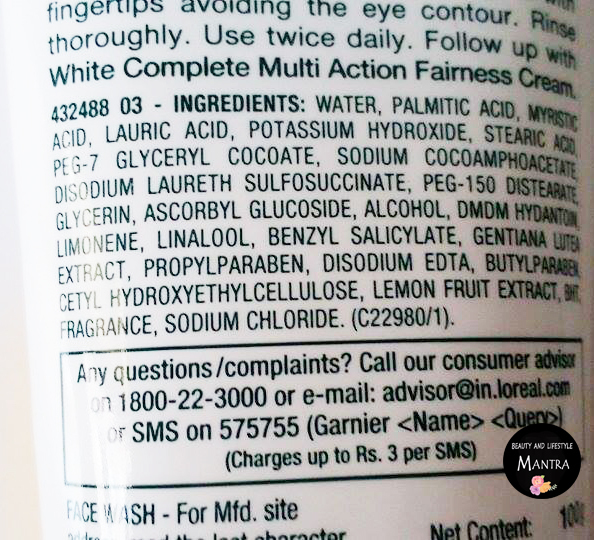 So as per the challenge today I am going review their face wash first then I will review their product Complete Multi Action Fairness Cream. Before the review I would like to mention that between these seven days I did not use any face pack or any other fairness product to get a good and honest result. Let’s detail it up. Exposure to sun, pollution and harsh environmental conditions makes skin appear dull and dark. 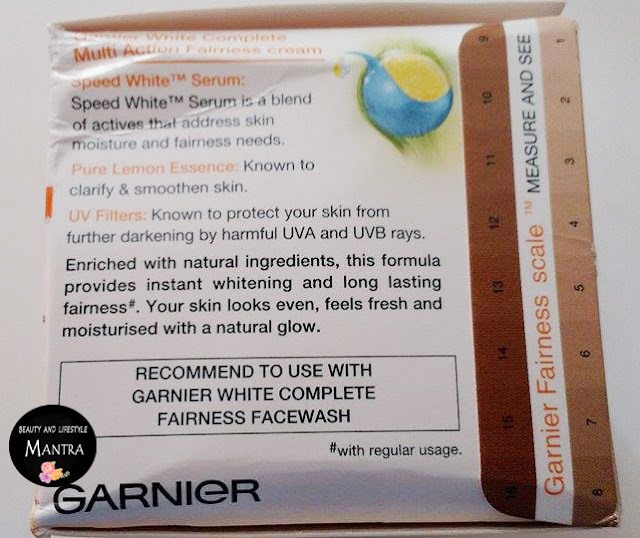 Garnier Light Fairness face wash is an effective daily face wash that helps you recover a clear, radiant, even complexion. Enriched with exfoliating pure lemon essence, its formula cleanses and clarifies the skin thoroughly and removes impurities that make the skin dull. Apply on wet face. Gently massage in with fingertips avoiding the eye contour. Rinse thoroughly. Use twice daily. 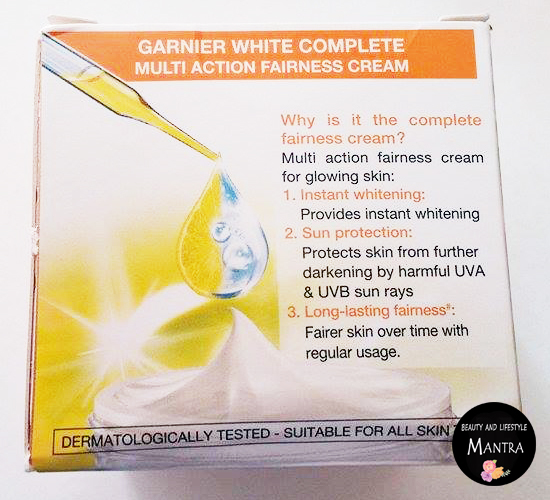 Follow up with White Complete Multi Action Fairness Cream. 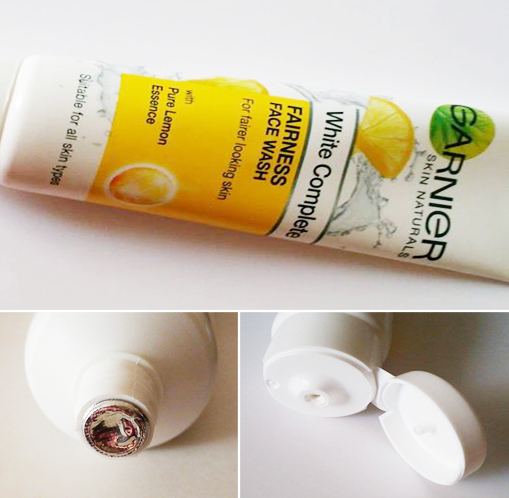 The face wash comes in a neat white plastic tube with a flip top cap and it is travel-friendly. The Color of the face wash is white and it smells very pleasant like some fruity smell. The texture is creamy and slightly thick. The main think about this product which attracts me first that it is contained pure lemon extract. 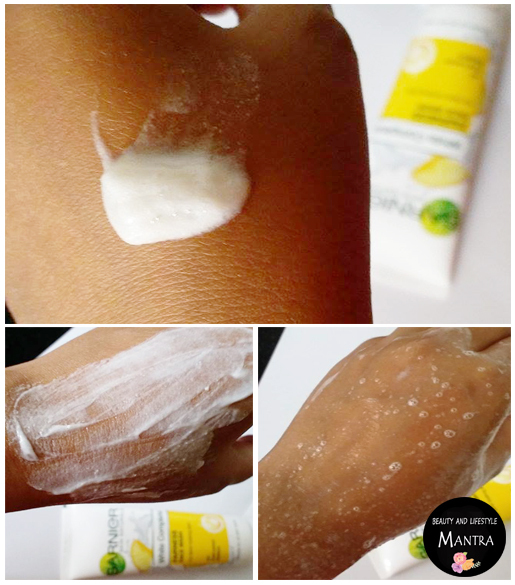 As we all know that lemon itself has natural bleach and it also helps to bright and nourishes the skin. I am using this face wash last one week and I must say it keeps my skin clean. The face wash doesn't lather much but does work well in cleaning off all the oil and dirt properly from the skin. It gives an instant glow and cleanses face very gently. Also, I notice that it’s removed my blackheads. One thing I noticed that just after the wash my skin feel little dry and stretchy. 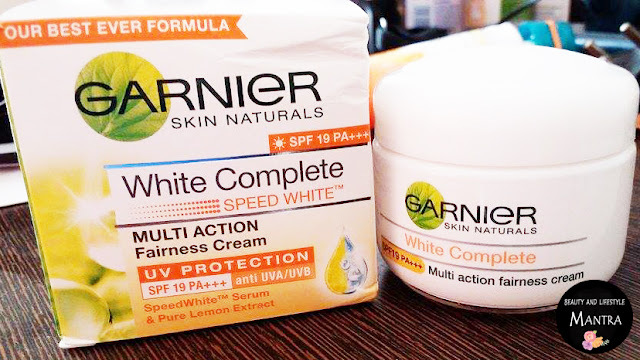 Now my take on, White Complete Multi Action Fairness Cream. This product comes in a very cute white small size plastic tub. 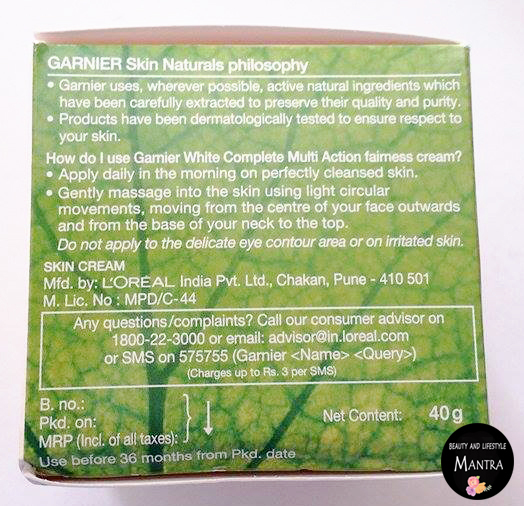 The cream is white in color and is slightly thick and creamy which can get absorbed into the skin quickly. The fragrance is light fruity kind and relaxing without being too strong. Nowadays there are so many fairness creams available in the market. But honestly speaking specifically I’ve never tried any fairness cream before. This is the first fairness product which I've used. I have fair skin tone but brightness was missing on my skin, may be for workload or weather or for ageing. Any ways, I am using this fairness cream along with fairness face wash for last 7 days as a challenge. And I really got back the brightness of my skin. 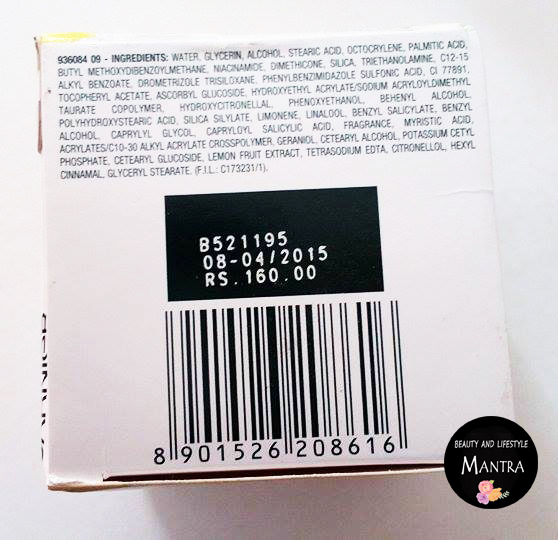 I have a dry to combination skin type and this cream is really light weight and gets absorbers easily on my skin. But one thing that I noticed that it leaves a slight white tint before gets absorbed in about 2-3 minutes. Another thing I noticed that it makes my under eye areas little dry after application. So I avoid the under eye areas. The best thing about this product is that it has sun protect formula. 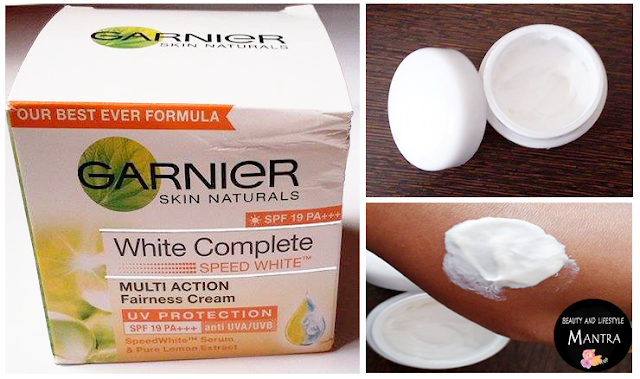 SPF 19PA+++ can protects your skin from further darkening by harmful UVA and UVB rays. So it is a perfect day fairness cream. It makes my under eye areas dry. Overall, The Garnier White Complete Fairness Face Wash and White Complete Multi Action Fairness Cream both are pretty good products. If you are looking for any fairness face wash and Cream, I must say try both the product. If you want to get a good results then my suggestion would be always use both the products together to recover your skin tone. Both products are for all skin types and for daily use. Have you tried The Garnier White Complete Fairness Face Wash and White Complete Multi Action Fairness Cream? If you are not using this product so why don’t you participate in Garnier #7DayGarnierChallenge contest, request for a sample by filling in your details and Post your reviews after using the product for 7 days and stand a chance to win exciting hampers. For more detail click here.